Enjoy reading and share 2 famous quotes about Thalia Grace with everyone. 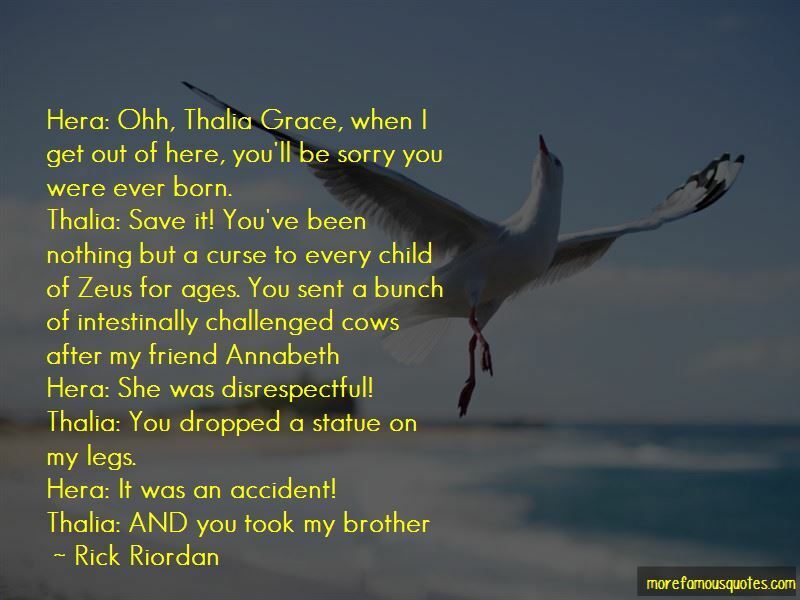 “Hera: Ohh, Thalia Grace, when I get out of here, you'll be sorry you were ever born. Thalia: You dropped a statue on my legs. Hera: It was an accident! “Jason muttered "And I saw something ... Really terrible." 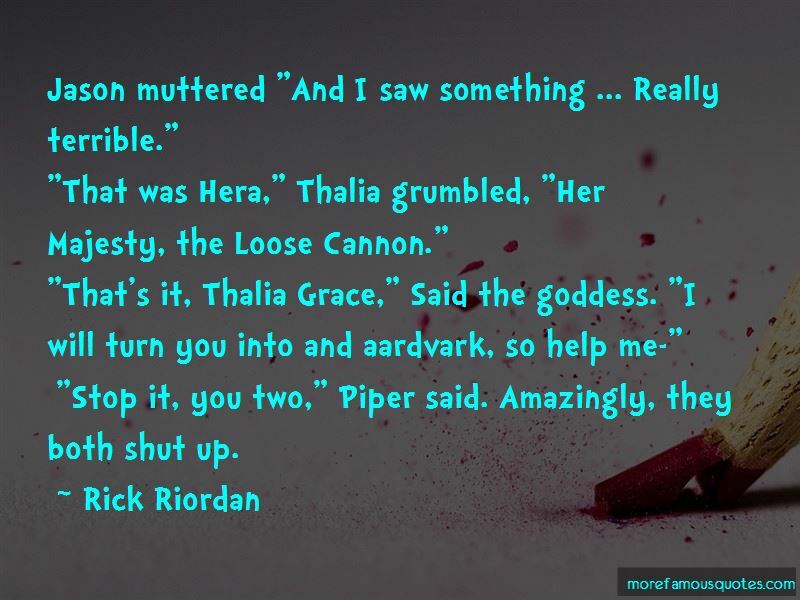 "That was Hera," Thalia grumbled, "Her Majesty, the Loose Cannon." "That's it, Thalia Grace," Said the goddess. "I will turn you into and aardvark, so help me-"
Want to see more pictures of Thalia Grace quotes? Click on image of Thalia Grace quotes to view full size.